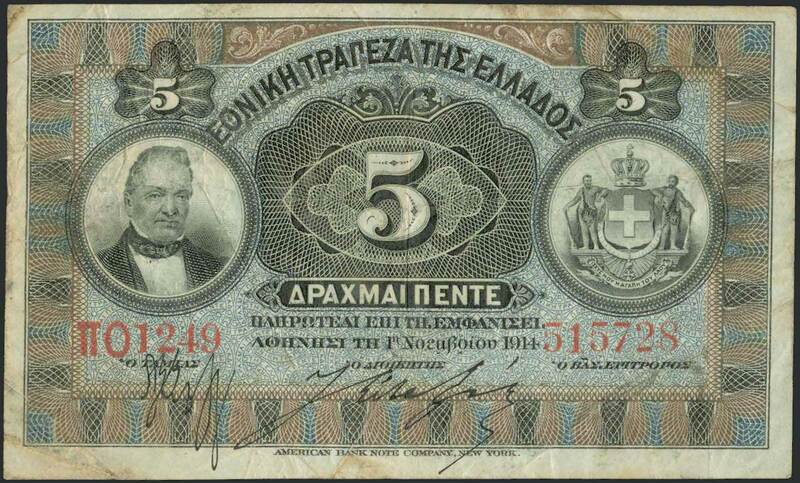 5 Drachmas (1.11.1914) in black on purple and green unpt with "Portrait of G. Stavros" at left and "Arms of King George I" at right. Printed by ABNC. Governors signature by Eftaxias. (Pick 54a). Fine.